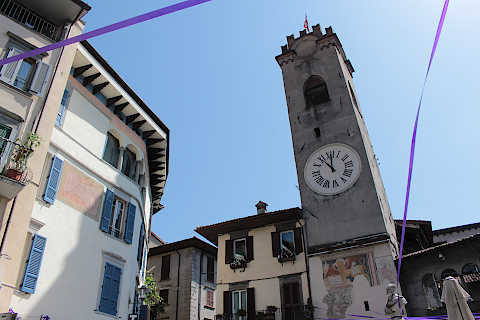 The small town of Lovere is on the shores of Lake Iseo in the Lombardy region of Italy, near the north-west corner of the lake. 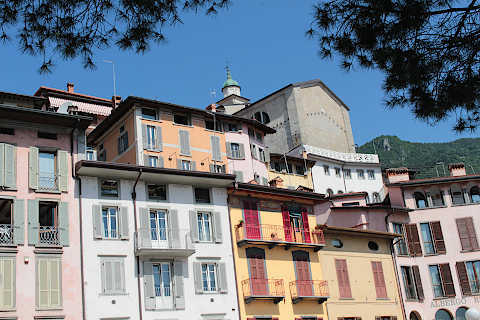 It is officially listed as one of the 'most beautiful villages in Italy'. 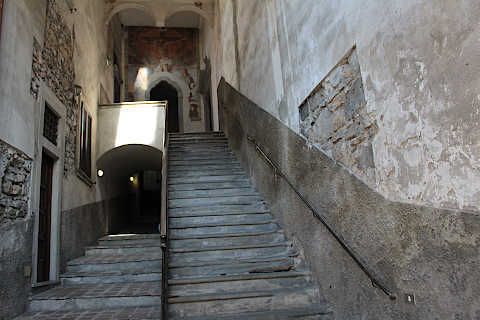 Italy This Way comment: some of the monuments in Lovere such as the Basilica and Tadini Academy have quite restricted opening hours - I have included these below for certain monuments, so you can visit when they are open! 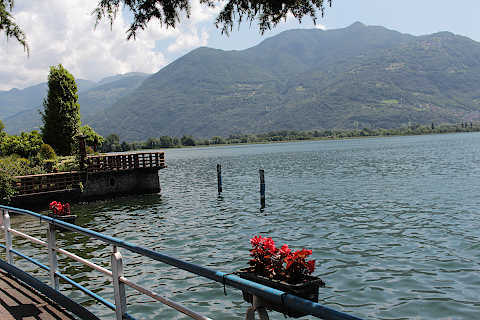 There is a lot to commend in the older part of the town and along the lakefront promenade in Lovere and a visit is recommended when you exploring this region. 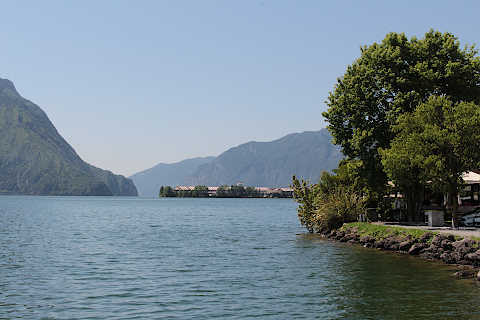 You can start your visit to Lovere with a walk along the shores of the lake from the car park towards the town centre.This is a very pleasant walk with lovely views across Lake Iseo to the villages on the other side of the lake. 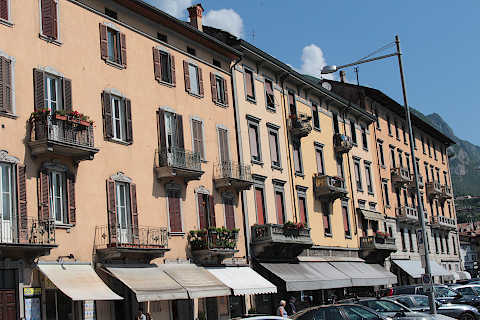 Following this promenade you quickly reach Piazza XIII Martiri, an open and curved square that is surrounded by cafes and tall colourful houses on one side and overlooks the lake on the other and is the centre of Lovere. The tourist office of the town is here in this square. 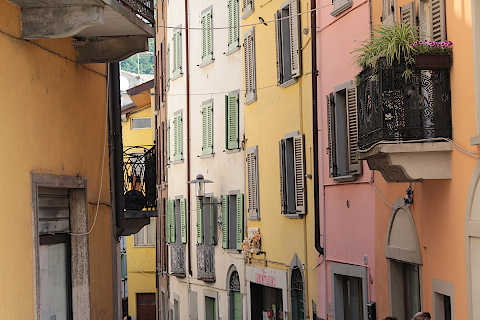 The old town is very pleasant,with cobbled streets and small piazzas to discover and throughout Lovere you will discover cafes and shops, and also several impressive villas and palazzos. 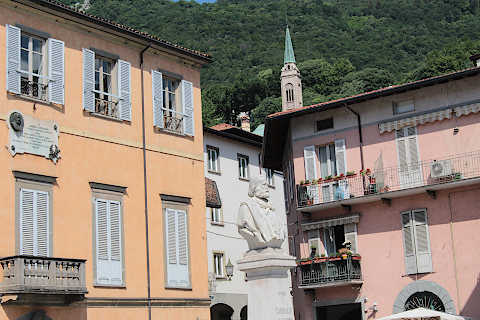 The most picturesque of these is Piazza Vecchia, which is small but was once the centre of Lovere which is why the town hall and Civic Tower were built here. 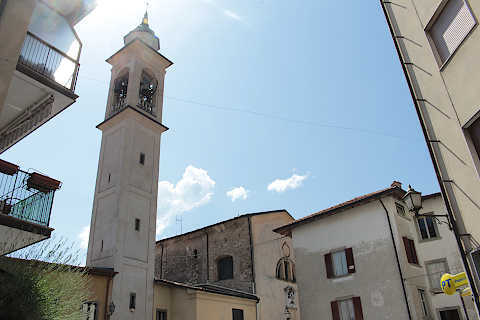 Various frescoes and statues can be seen in this pretty square, and following recent renovation work it is now possible to climb a staircase inside the tower for lovely views across the town roofs from the top of the belfry. 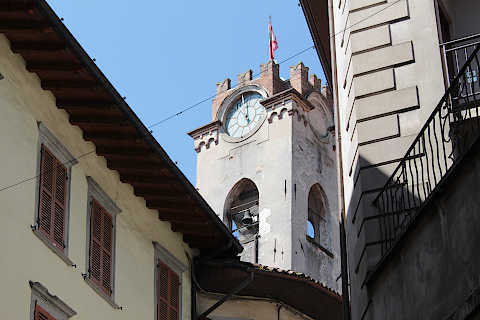 You will also notice some other medieval towers in the centre of Lovere, which are among the oldest remaining buildings in the town, dating from the 12th-13th centuries. The towers are called the Pumpkin Tower (Torre detta 'la Zucca') and the Alghisi Tower (Torre degli Alghisi). 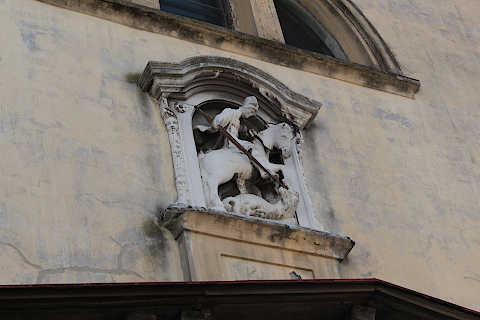 Also in the town centre you will see the Church of Saint-George, with a statue of Saint-George on the facade and various artworks inside. This church dates back to the 13th century, but almost everything we see today is a result of works carried out after the 17th century. 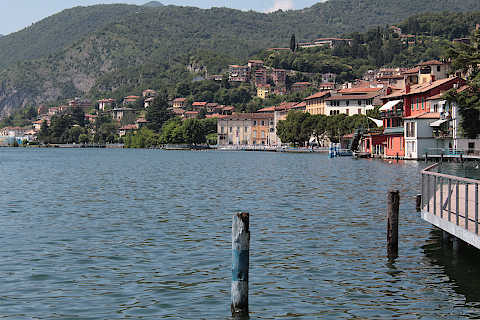 The most notable of the grand old palazzos in Lovere is the neo-classical style Palazzo Tadini (built 1821-1828), which is now home to the Academy of Fine Arts and is a very large arcaded villa built in the neoclassical style along the edge of the lake. 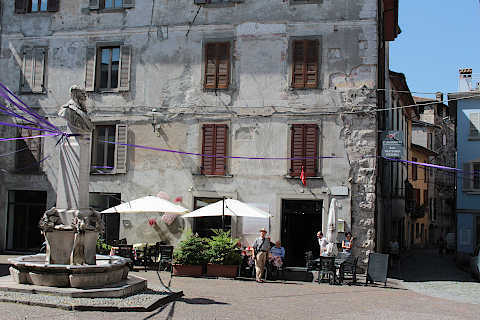 Called the Tadini Gallery, it has an impressive collection of paintings by local artists from the 15th and 16th centuries and many other items including sculptures, bronzes and archaeological artefacts. Other important villas include the Villa Milesi with its gardens and the 16th-century Palazzo Marinoni, one of the oldest villas in Lovere. The principal historic religious monument in Lovere is the Basilica of Santa Maria in Valvendra, built outside the city walls in the late 15th century and still slightly outside the main historic centre. 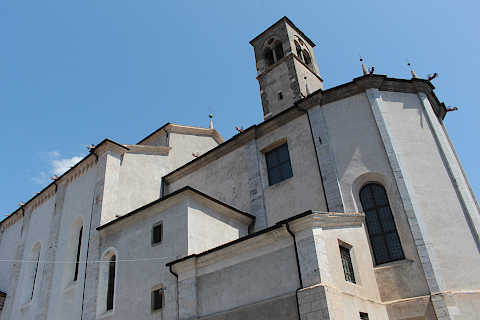 Built in the renaissance style, the outside is without great interest but inside the basilica there are three naves separated by marble columns and you can see various artworks and frescoes (be sure to look in the chapels along the left side) as well as an imposing altarpiece and apse. 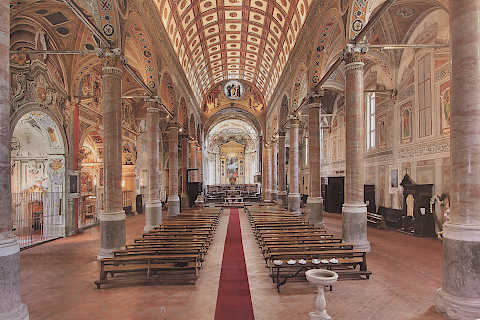 Because of its beautiful interior decoration and a meticulous renovation in recent years this basilica is quite spectacular, and if it is open when you are here it will be one of the highlights of your visit, but note that it has limited opening times, and is closed most mornings. 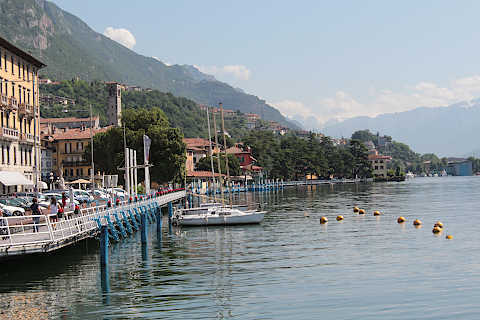 After exploring the town centre you can walk south-west along the lake front to the marina to see the boats: there is a sightseeing platform at one end of the marina for the best views. 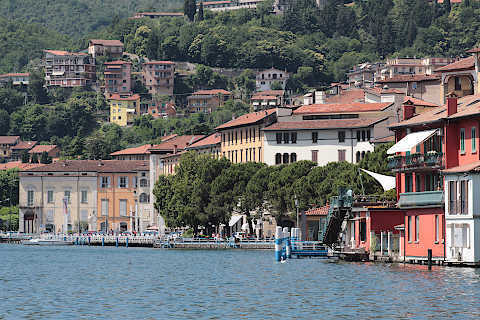 There are several highlights to enjoy around the shores of the lake: see the Lake Iseo guide for more details. 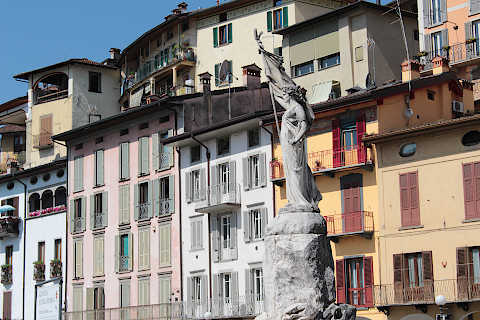 To the north-west of the lake you can continue towards the mountains and the scenic Val Camonica, best known for the thousands of prehistoric stone engravings in the valley. 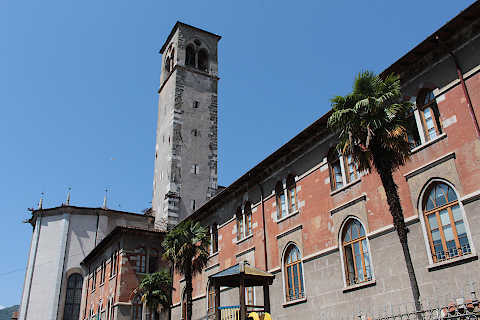 Among the other towns in the region of historical interest, Bergamo and Brescia are to the south-west and south-east of Lake Iseo respectively. 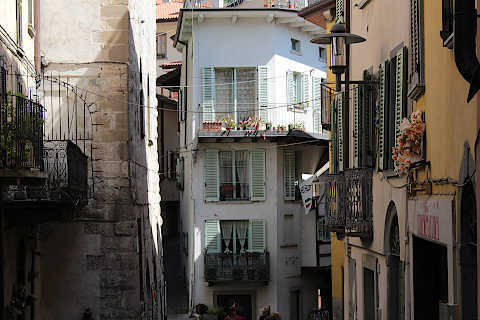 You can find more local travel ideas in the Bergamo guide and the Lombardy guide.